It’s important to ensure that the springs in your garage door aren’t beginning to fail. There are several warning signs that your garage door springs might be in need of attention. Wobbly or noisy doors are a dead giveaway – this is one of the most common signs of a failing spring. If you’re experiencing issues with your door moving slowly too, it’s wise to contact a trained professional team to investigate the issue. While these springs are incredibly tough they do have a limited lifespan. Once they do start to wear out, they'll need replacing immediately. If a garage door spring has failed completely this can be very dangerous; the pent-up tension in the spring and the sudden release of the door’s weight can be hazardous to anyone or anything in the vicinity. 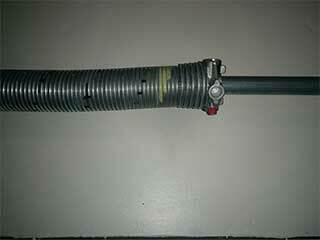 There is a lot of tension held within the torsion and extension springs attached to most garage doors. This is why we strongly advise homeowners to contact us at the first sign of trouble - avoid creating a hazard in your own home! The rugged nature of garage door springs means they’ll usually last for a number of years before wearing out. If you do need to replace your springs, it probably means they're pretty old. Luckily, you'll benefit from all the advancements available with modern springs - improved durability, corrosion resistance and extended lifespan. We also offer routine maintenance services and advise all our garage door owners to ensure their springs live as long as possible by ensuring they are lubricated and checked at least on a yearly basis. If you're experiencing a spring-related issue, contact us at Garage Door Repair San Mateo as soon as possible. We’re proud to offer a quality and speedy service; we'll work with you to ensure your spring is repaired or replaced as quickly as possible!